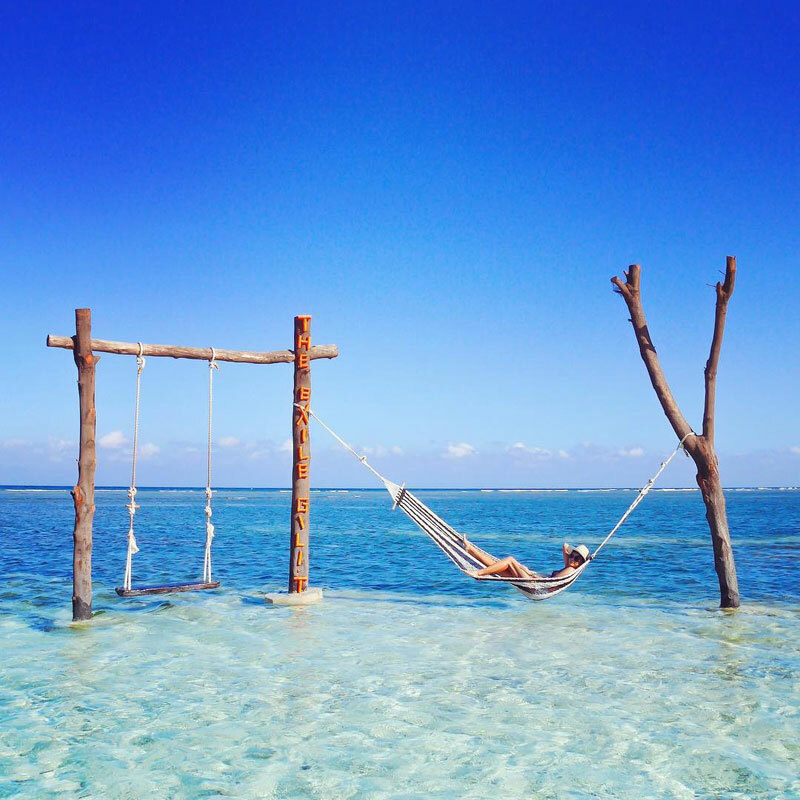 If you haven’t read our guide to Gili Islands, it’s time for you to check it out. 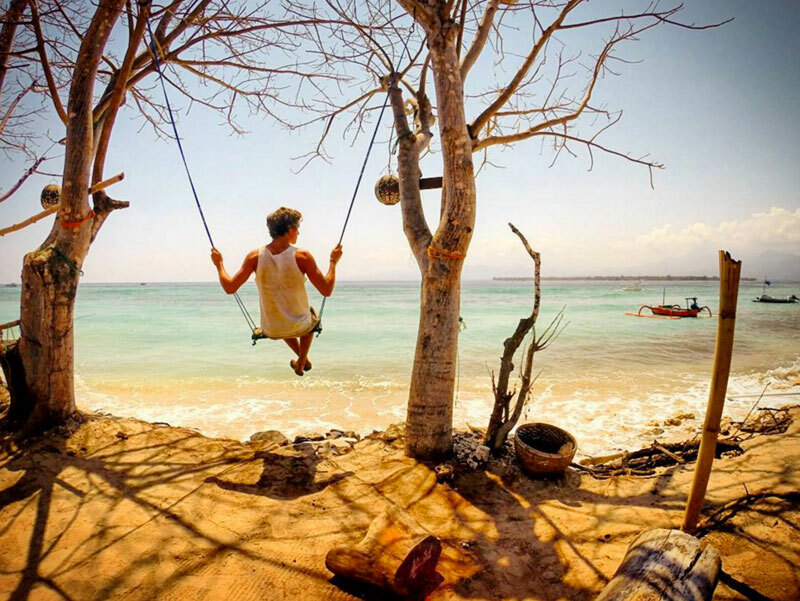 We were there ourselves, and there are just so many incredible things to do in Gili Islands. 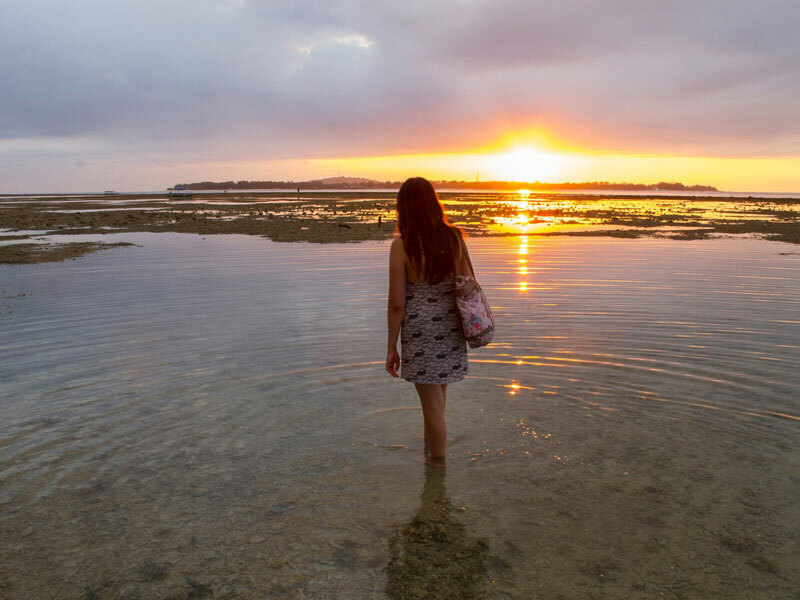 Read on and find out all the 14 incredible reasons you most definitely should make your way down to Gili Islands! 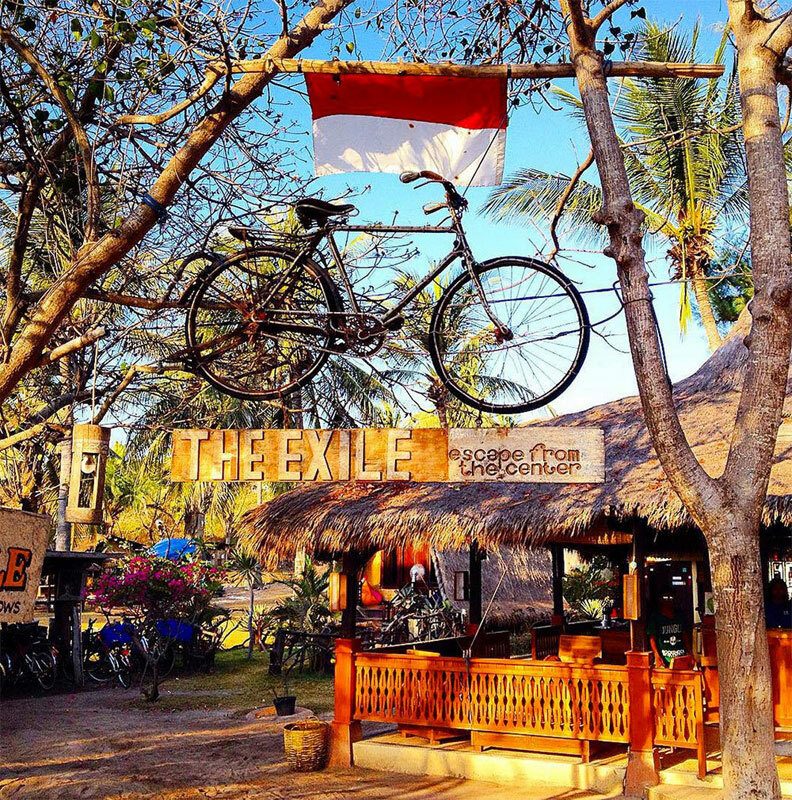 At The Exile, you can also be assured of photos oozing rustic charm, with thatched roof bungalows in the background, bicycles and dramatic pieces of driftwood to pose with! The Exile is a small inn just 25 minutes from the harbor. You can go by bike or by horse cart (both of which present interesting photo opportunities). 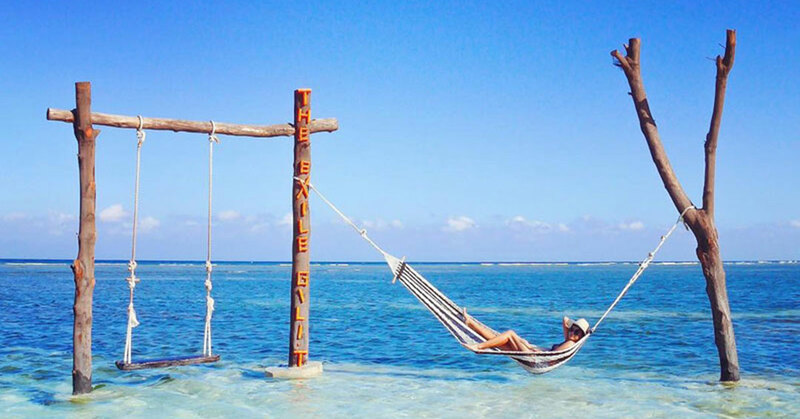 Everywhere you go in Gili Islands, the waters are so blue, they make the perfect backdrop for photos. 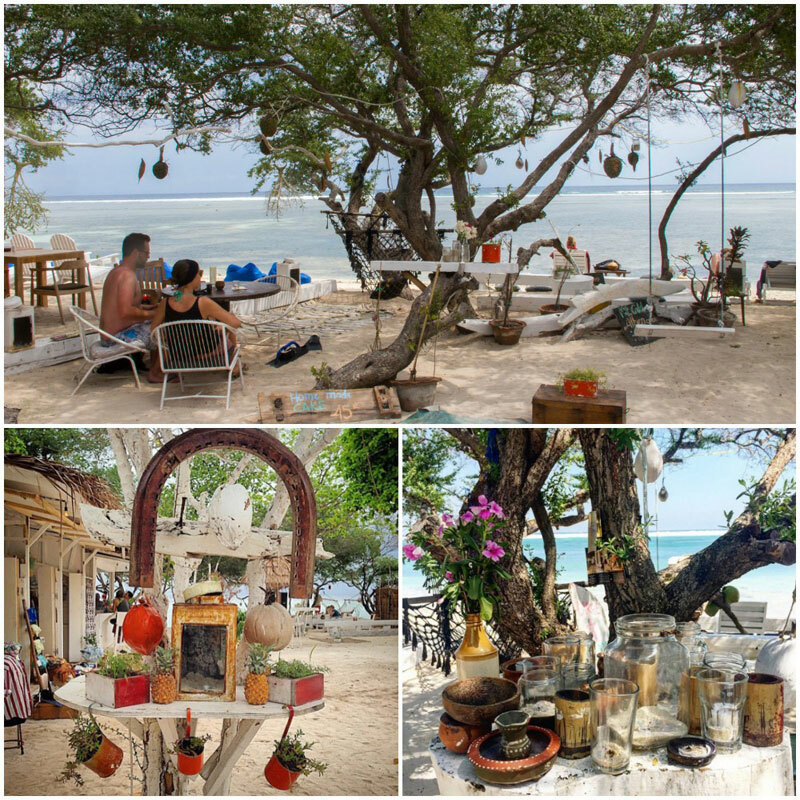 Getting there: Casa Vintage Store can be found in front of Cafe Kecil, about 50m away from the harbour at Gili Trawangan. Naty’s Restaurant is one of those carefree and uniquely designed places where you’ll enjoy dining with a view of the ocean. An example of its unique design: the semi-private cosy dining nooks that almost resemble a bird cage! Indulge in plenty of finger food, Western/Asian favourites, and cocktails, of course – and lastly, have a go on the swing! 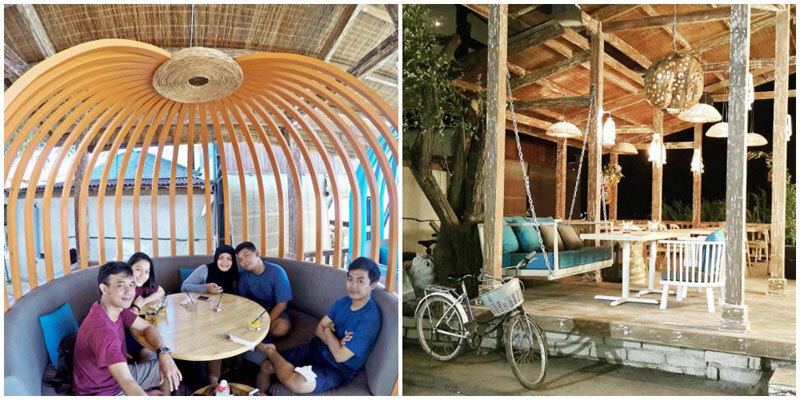 The restaurant is made almost entirely out of bamboo, and is situated right on the beach. 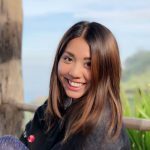 It’s slightly pricier than other establishments around, but definitely worth it with its combination of comfort, stunning views, and good food (such as the Roasted Yellowfin Tuna, and Wagyu Beef Burger). 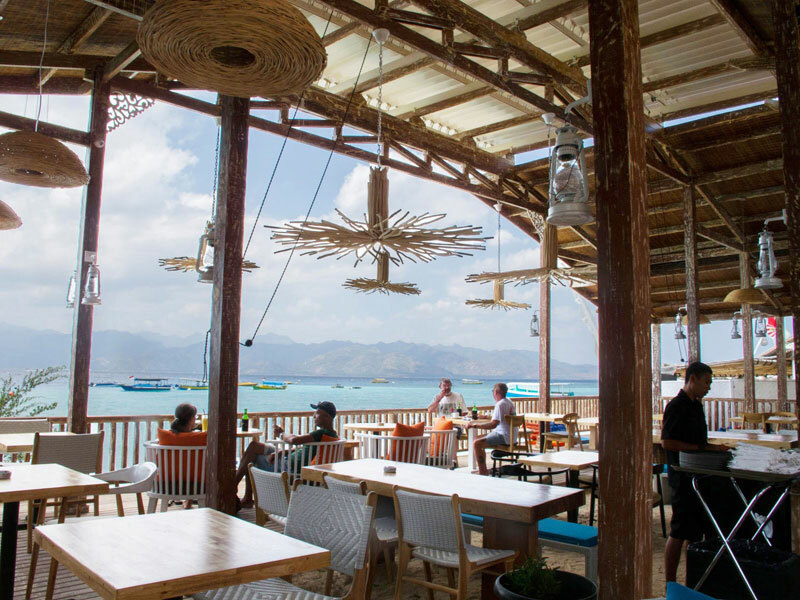 Karma Beach Gili Meno gives you that same comfort in a beach club setting where you can sit back and enjoy your meal in utmost delight. In the evening, jazz music starts to play as the sun sets and bathes the area in warm golden glow. (Try the grilled reef fish and Mediterranean breakfast if you do stop by! If you don’t fancy diving, or if you’re a bad swimmer, then try snorkeling. 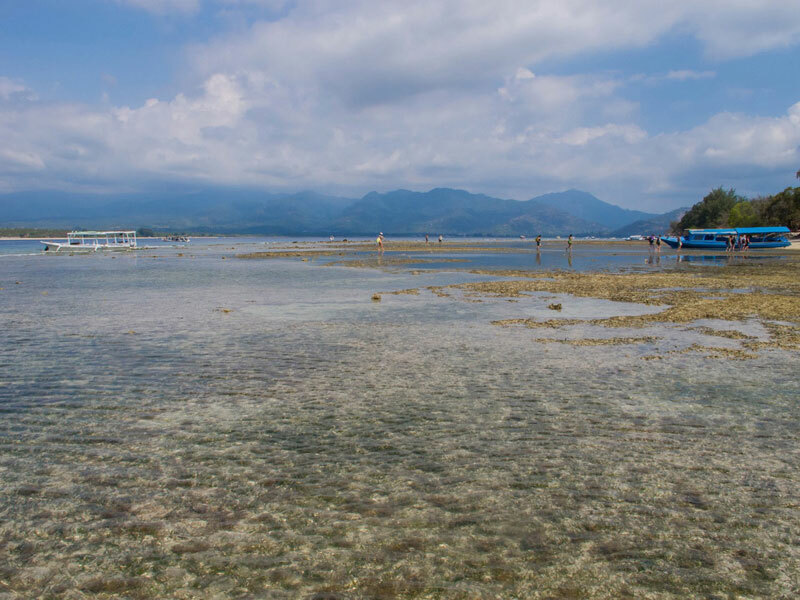 Off the north-eastern coast of Gili Trawangan is where you’ll find one of the best spots for snorkeling! There are many sea creatures here and sightings of turtles are frequently reported. It’s quite like a scene out of Finding Nemo with the clear blue waters, and colourful fish just swimming along. Also, if you’re too lazy to make the journey to the north-eastern coast of Trawangan, you’ll be happy to know that you can simply snorkel along any of the main stretches of beach. Regardless, you’re still bound to have a great experience! Tip: You can actually ask around on the streets, and hire someone to bring you snorkeling straight from the island! 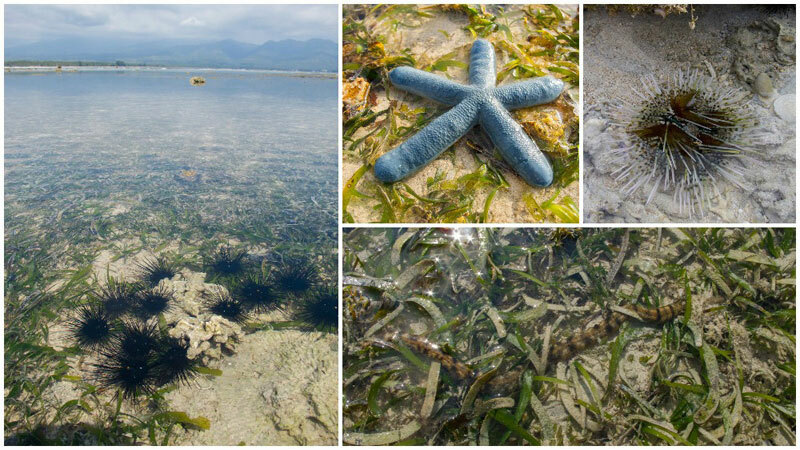 Another really interesting thing we did in Gili Air and Trawangan, you can actually explore the seabed. We fully enjoyed a couple of blissfully simple hours picking our way through the seabed and discovering various interesting things. There are many interesting things you can find on the seabed! 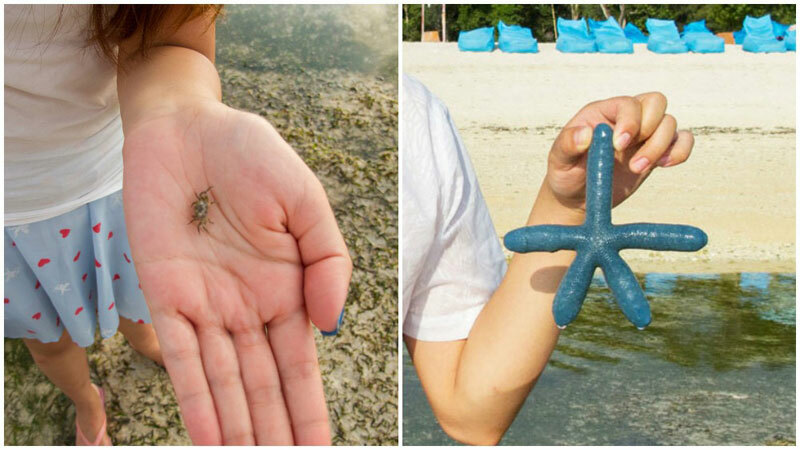 Such as sea urchins, sea cucumbers, starfish, corals and more. Two things to note, do wear your shoes, as you wouldn’t want to accidentally step on sharp shells or poisonous sea urchins. Safety first! Next, do not pick anything off the seabed. Leave it untouched so others may enjoy it too. 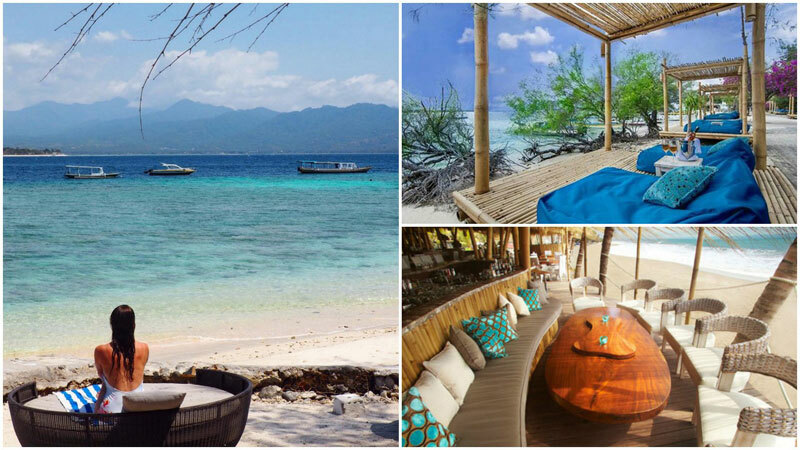 Oh those mermaid fantasies… Now we can all ride ‘seahorses’ in Gili Islands! That is, horse-riding in the sea. It’s quite a magical experience, and you’ll feel almost at one with nature. Riding on a horse with the sea below you, the horizon before you and the bluest skies above – you won’t want this beautiful moment to end. 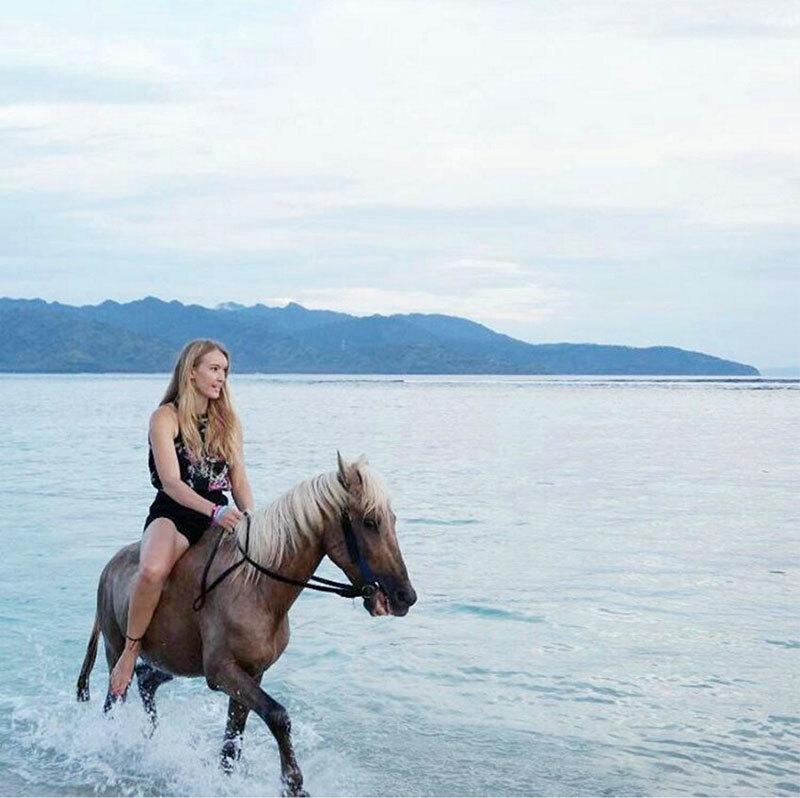 How to: Along Gili Trawangan, as you walk along the coast from the west to the east, you’ll find these horses available for riding in the sea. 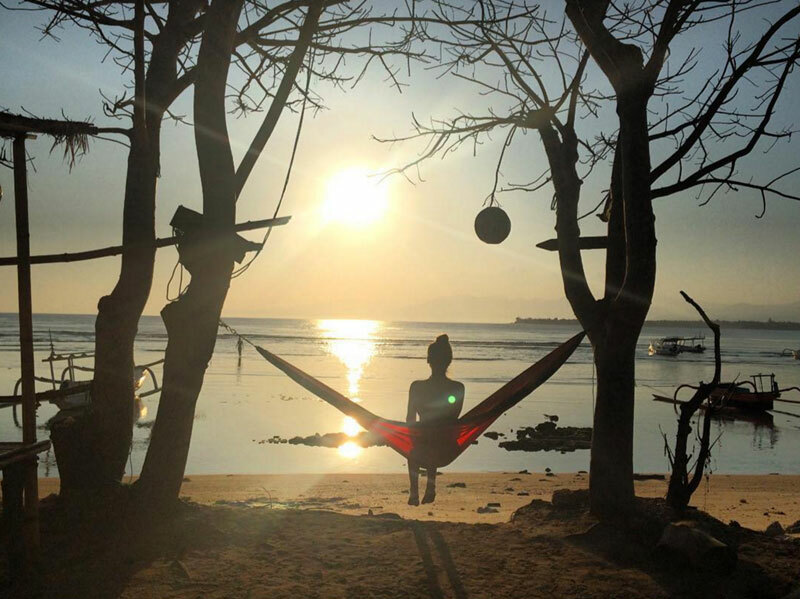 Gili Meno Eco Hostel is a very good reason to visit Gili Islands, simply because of the experiences you’ll find here, that’s hard to come by. a. 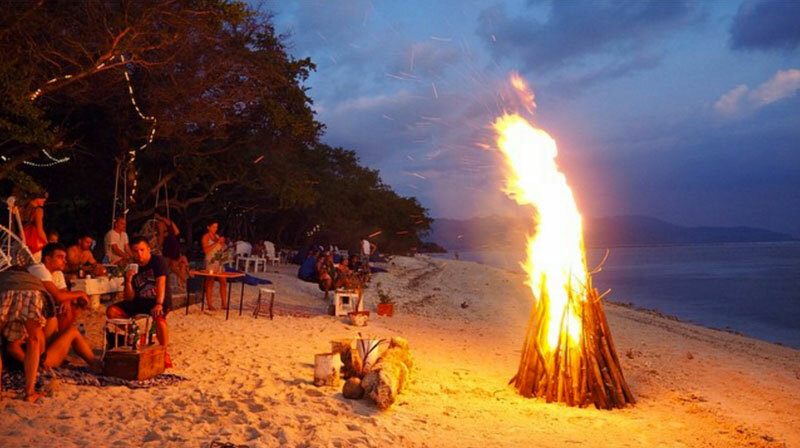 Experience sleeping in a hammock under the stars and by the ocean, tent, dorm bungalow or more. b. Meet like-minded folk, and make new friends in this cosy community. c. Enjoy chilling around the different hangout spots within the premises. 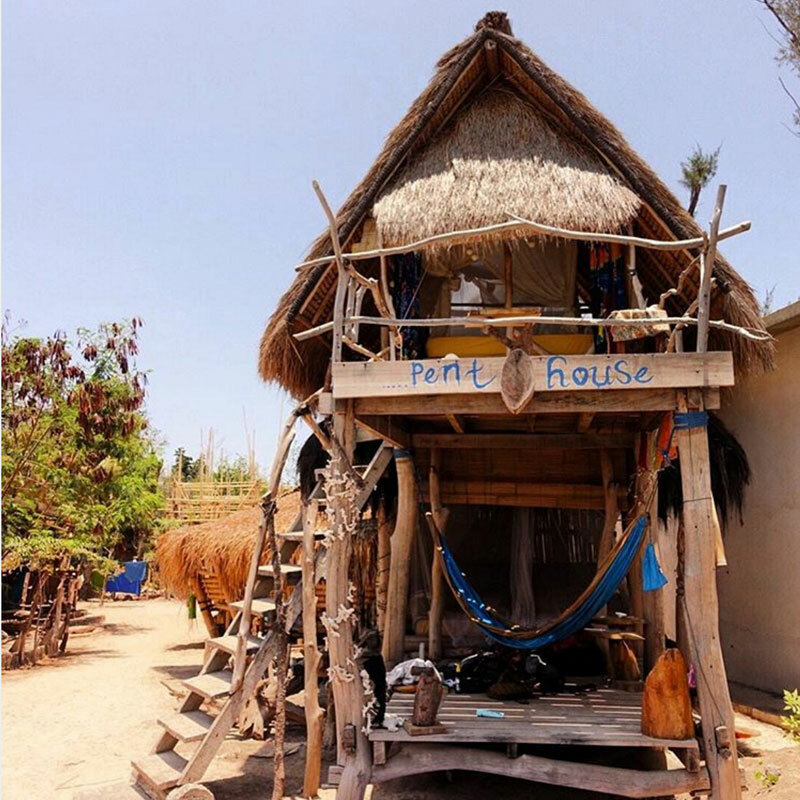 With its slogan “Built by travellers for travellers”, this creative eco hostel in Gili Meno is really incredible with its thoughtful facilities. Firstly, the accommodation available is suitable for anyone, and we mean anyone. If you’re able to splash out on a beachfront penthouse, they have it. 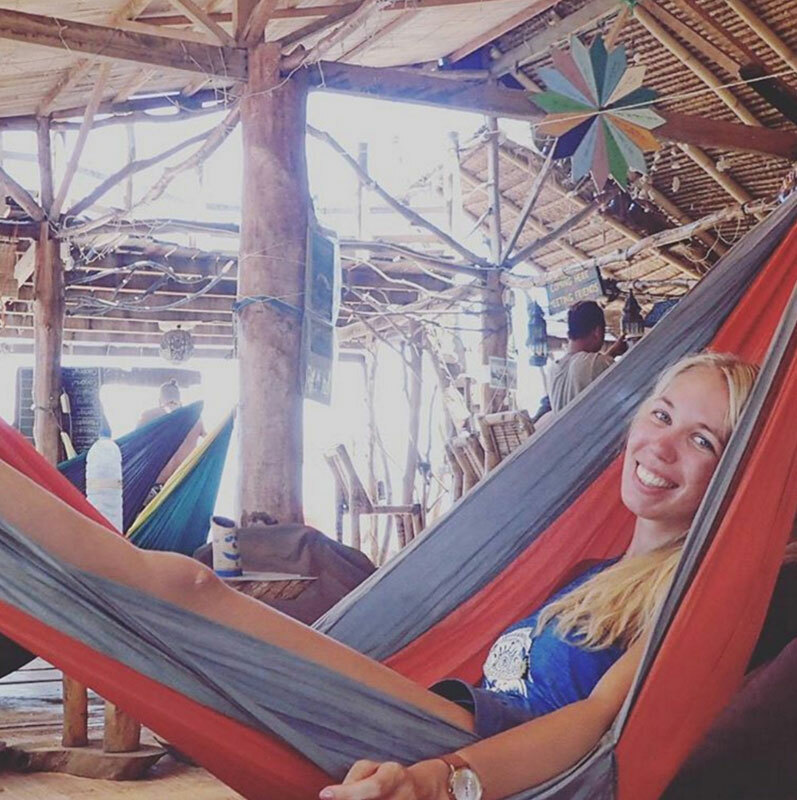 If not, they even offer hammocks, tents, and dorm bungalows for those of us with tighter budgets (or a greater taste for adventure). 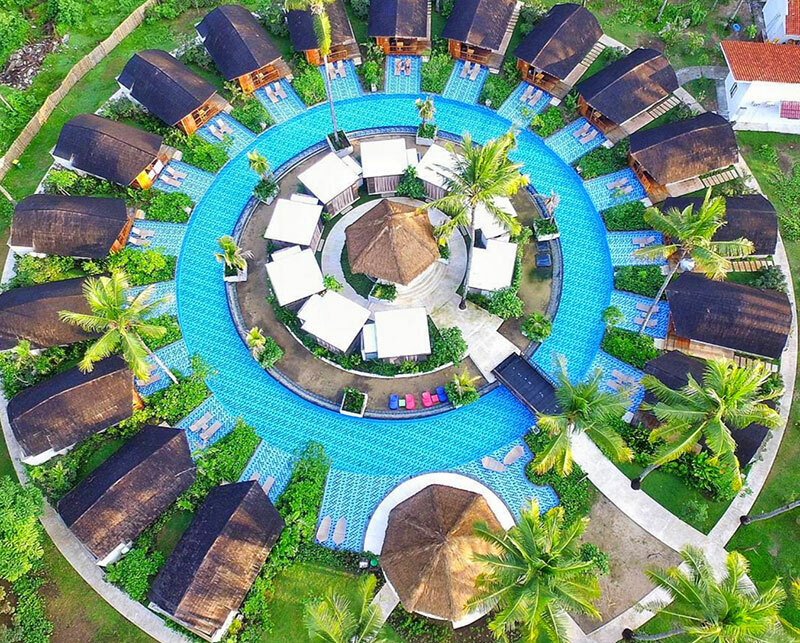 Here you will find lovely bamboo showers, a beach lounge, tree house, the Shanti Shanti Beach Bar, and much more. It truly is one of the best places to meet new people, especially if you choose to stay in the dorm bungalows, join the communal dinners, and chill at the usual hangout spots within. 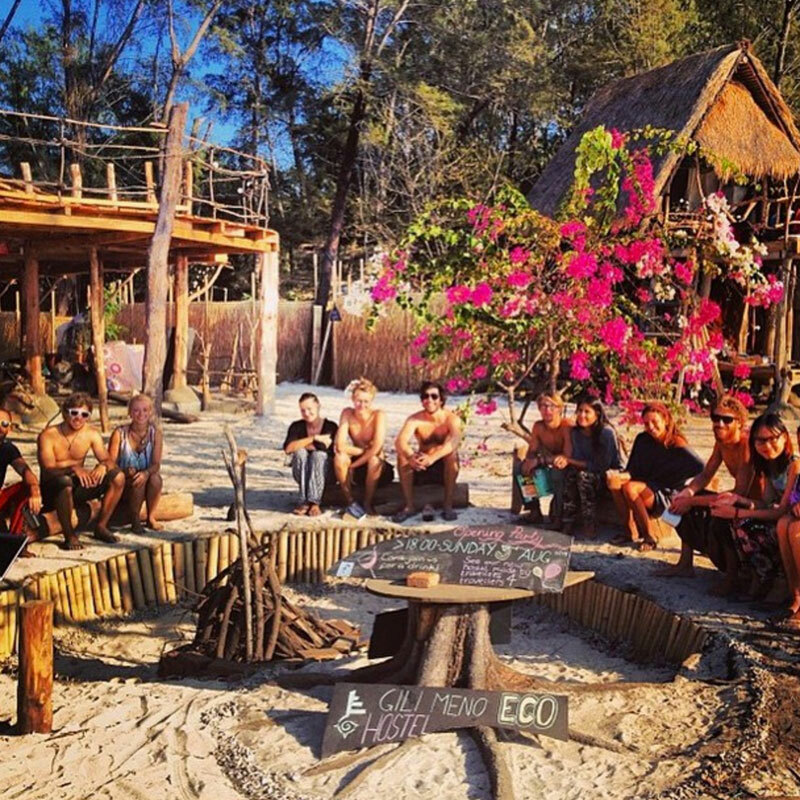 Before long, you’ll be making lifelong friends with your fellow Gili Meno Eco Hostel mates, and exchanging hilarious stories and life experiences with each other – over drinks and the amazing atmosphere. Did you know? 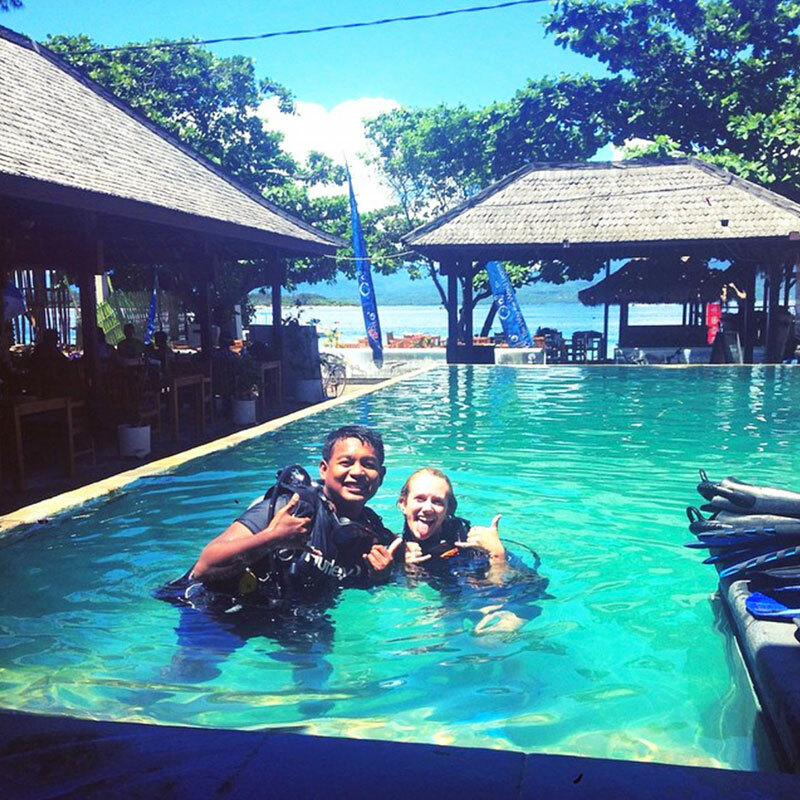 You can also learn diving for free in Gili Islands! Well, for 10 minutes at least, and in a pool so it’s definitely a safe environment for you to learn diving for the first time! Diving is one of the most popular activities at Gilis Islands, and it’s suitable even for beginner divers! Why so? Water conditions are usually good with gentle currents and good visibility. This means diving is relatively easy (good water conditions, no need to push against strong currents), and you’ll be able to enjoy a clear and vividly spectacular underwater view. 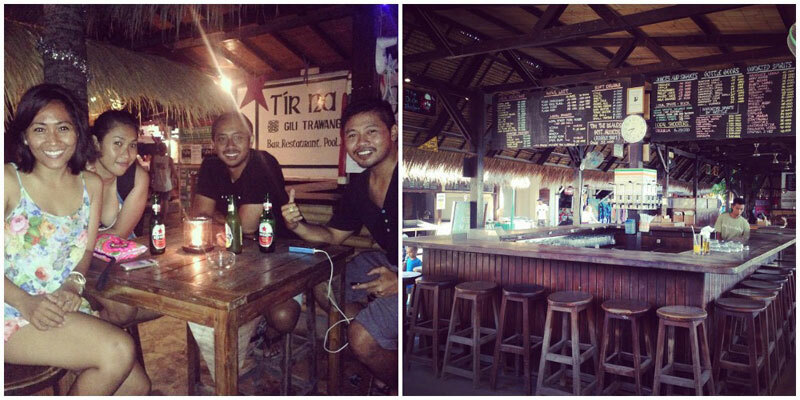 While we are on Gili Air, we found quite a few dive schools offering free 10-minute diving lesson. Just ask around and you will be able to find it! 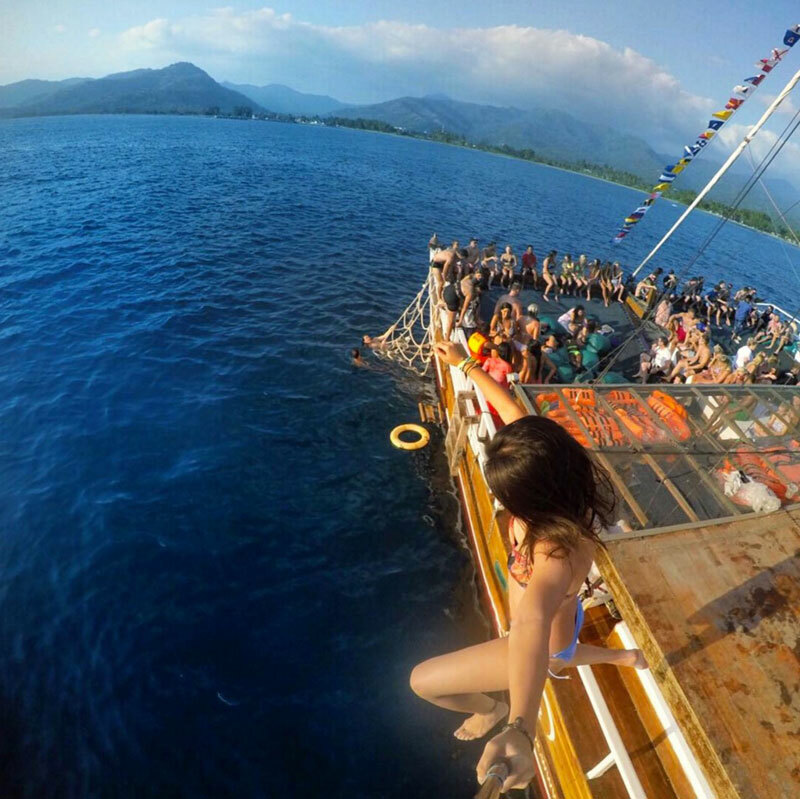 We all know that Gili T is known for its parties and nightlife, but did you know that you can attend a boat party as well? 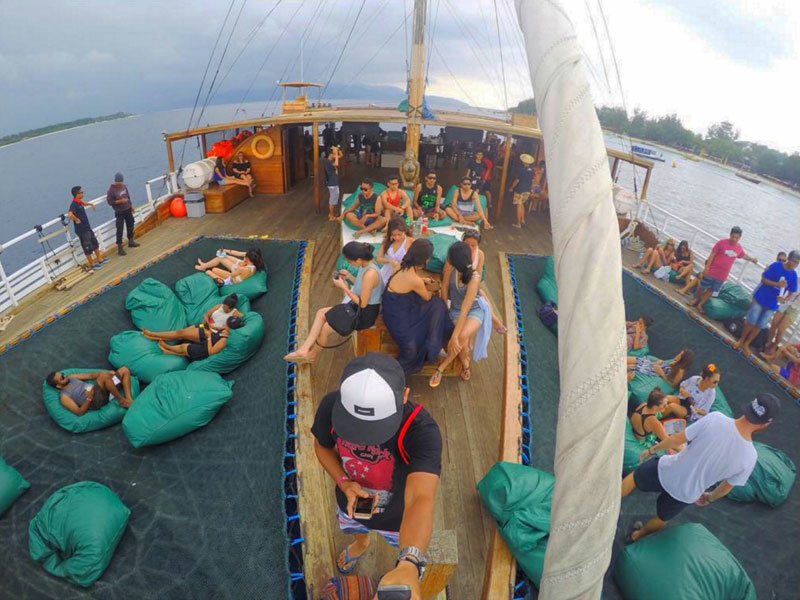 The island is the only one amongst the Gilis that offers this unique party boat experience! Simply book tickets online from Jiggy Boat Party! Otherwise, you can also try hanging out near Blue Marlin Dive Centre at night, if you don’t want to pay for a boat party. 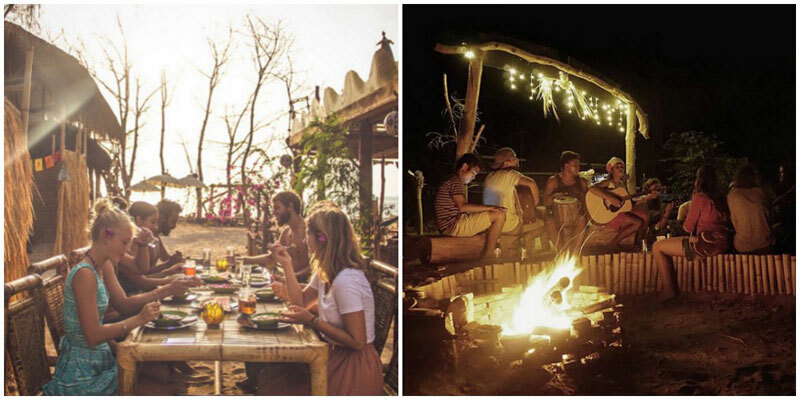 When travelling, one of the best things to do is to meet new people, and exchange travel stories. Wondering where to go to do just that? Head to Tir Na Nog Bar on Wednesdays for the famous Wednesday Night parties! Founded in 2000, Tir Na Nog (also known as the Irish Pub) is the place to be for a night of drinks and meeting new people if you’re up for it. Ladies’ Night is every Sunday with 50% off selected cocktails, and they even have a sports bar where you’ll be able to catch sporting events screened live! 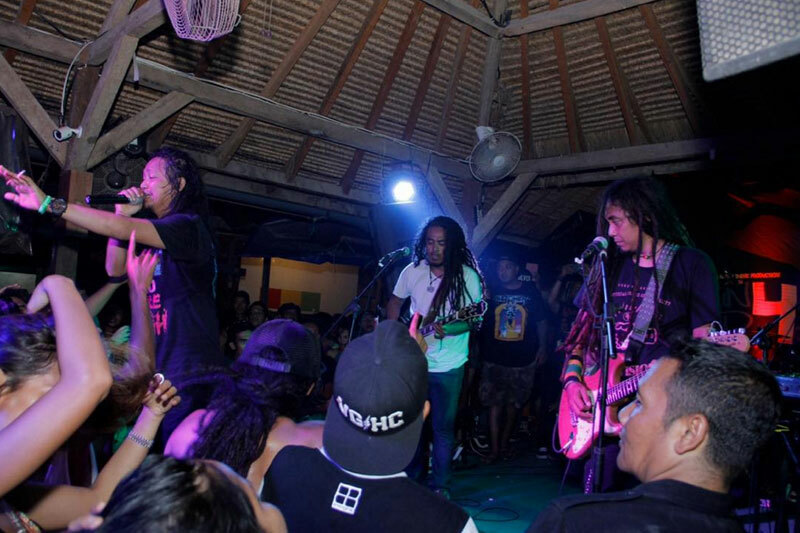 Sama Sama Reggae Bar is accordingly, the “best night bar on Gili Trawangan”. There’s good live music with a surprisingly fantastic band, no entrance fees, and friendly people all around. 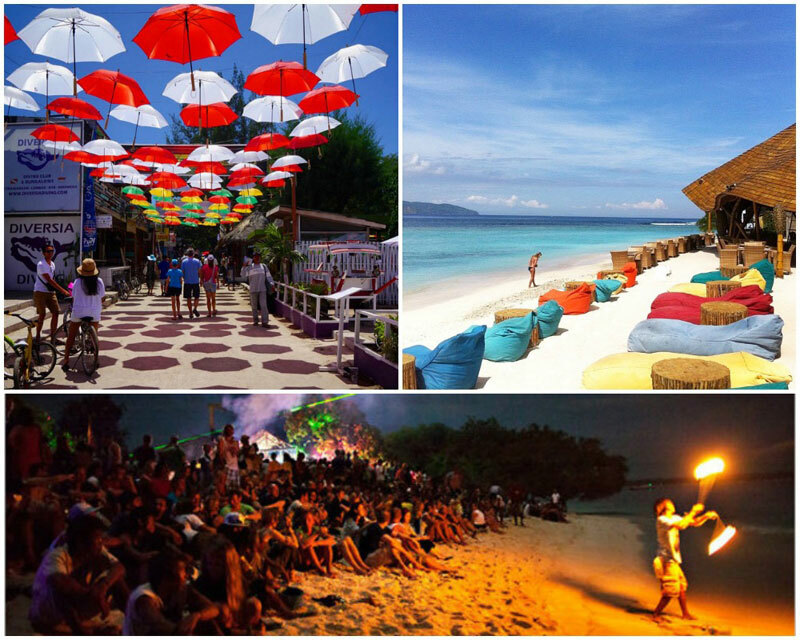 Like every other place around the world, Gili Islands has its own culture and traditions. One in particular is the traditional martial art, Presean (Stick Fight), a tournament between fighters that are randomly selected. Fighting with a stick and leather shield, tourists can also join in, but only if you’re prepared to take a few hits. 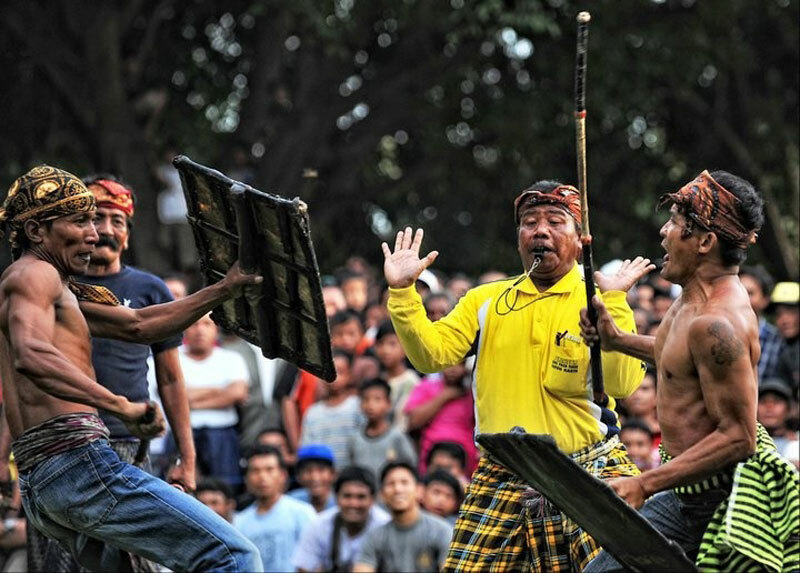 While this traditional sport can be a bit rough (blood might spill), it is quite an eye-opener! Getting there: Visit Trawangan’s marketplace around Pasar Seni on Sunday afternoon to catch a glimpse of the fight in action. Remember the days when we used to marvel about being able to fly in an aeroplane? Looks like taking to the skies isn’t as fascinating anymore – you can now fly underwater with the latest Subwing! 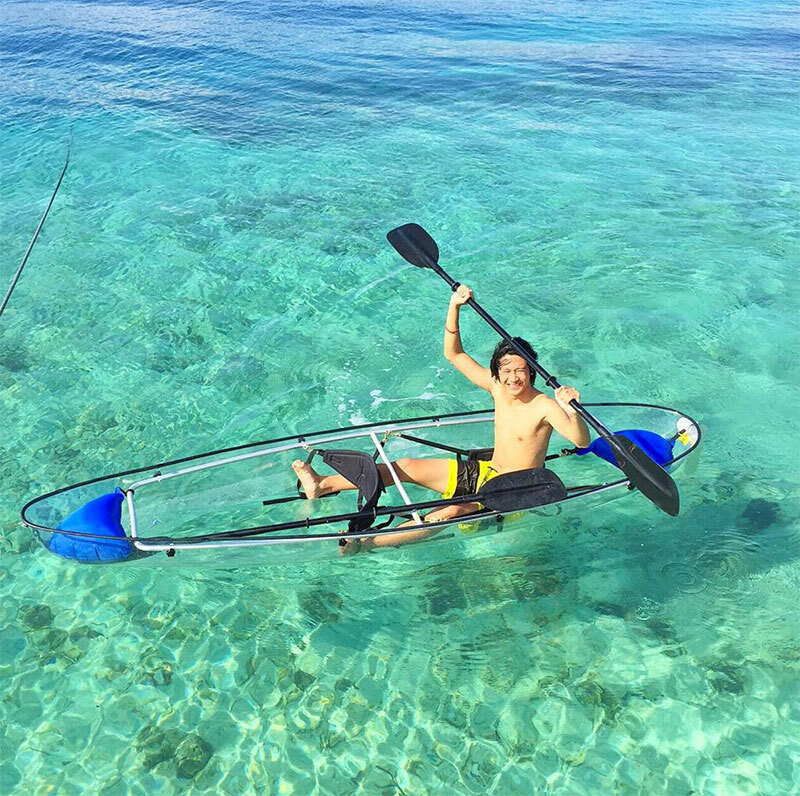 It’s a super new sport that’s not only unique, but also a fantastically magical way to explore the beautiful reefs. It’s something like snorkeling but not quite the same. 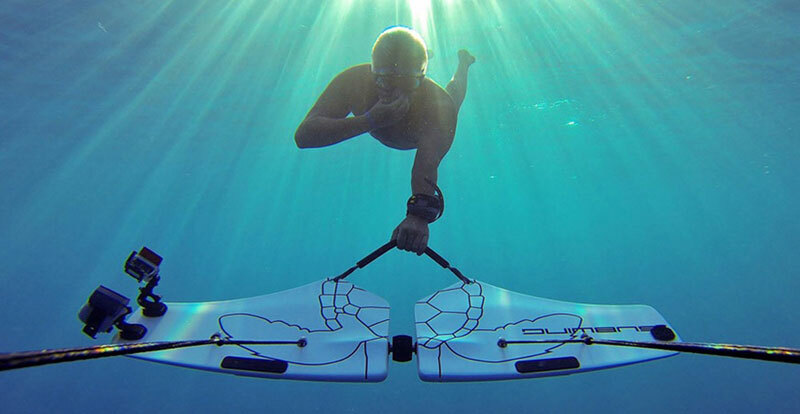 Instead of putting on your snorkeling gear and jumping in for a swim, you put on your snorkeling gear, jump in, and hold onto the subwing board. A boat connected to the subwing board will pull you through the ocean, so you get to marvel at all there is to see! 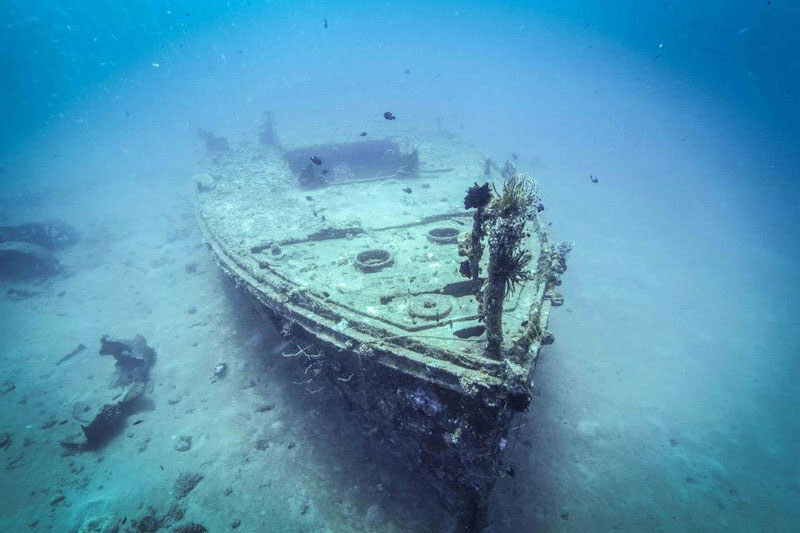 This is not a boat wreck, it’s a sunken pier under the sea! 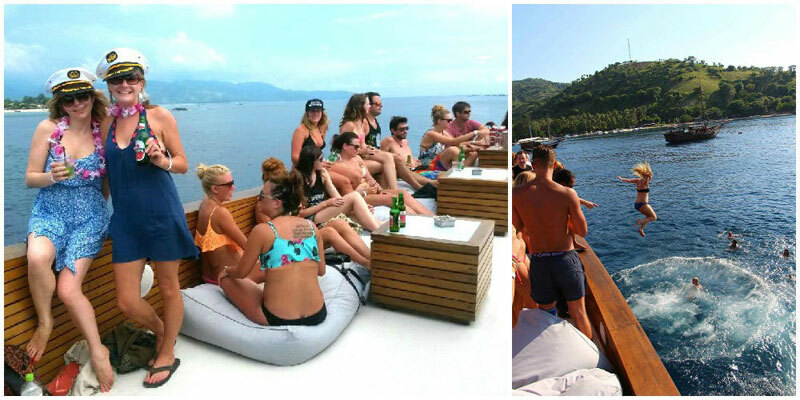 The Bounty used to be a pontoon once used by the Bounty Resort on Gili Meno, so whatever’s on the pier sunk together! 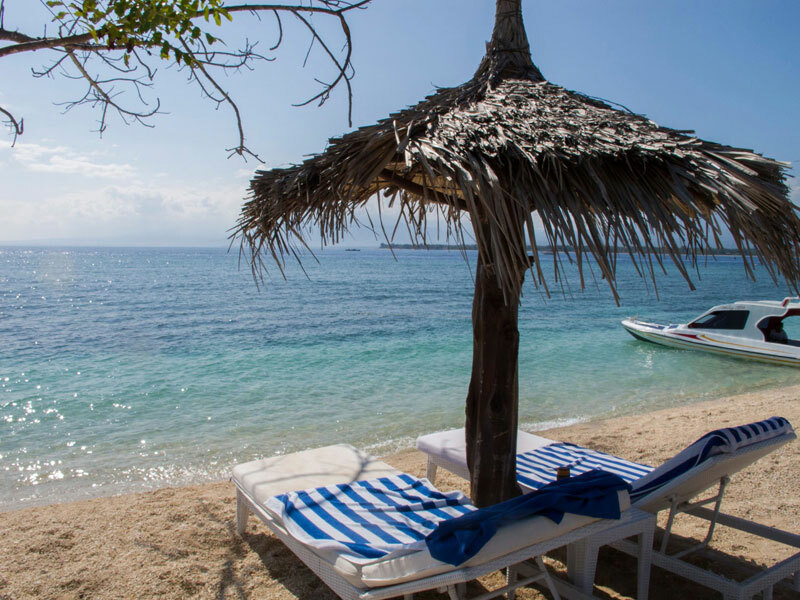 The Bounty Pier fell into shallow water along the coast of Gili Meno, making it accessible to all level of divers. There’s also a coral ridge extending from 20m to 12m for you to explore near the wreck. 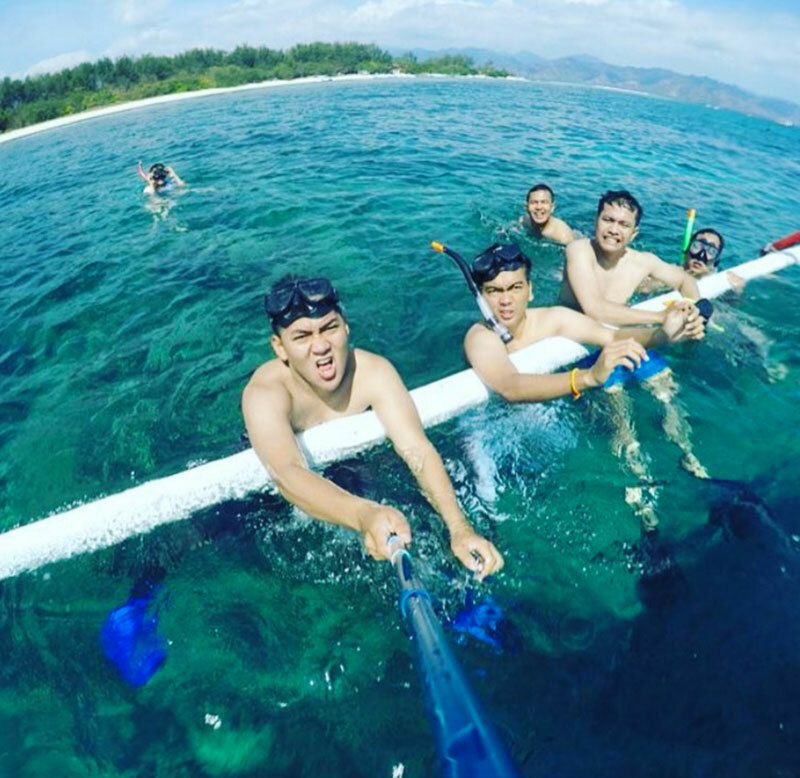 The Gili islands (Gili Air, Gili Meno, Gili Trawangan) are known as one of the best scuba diving destinations in the world! 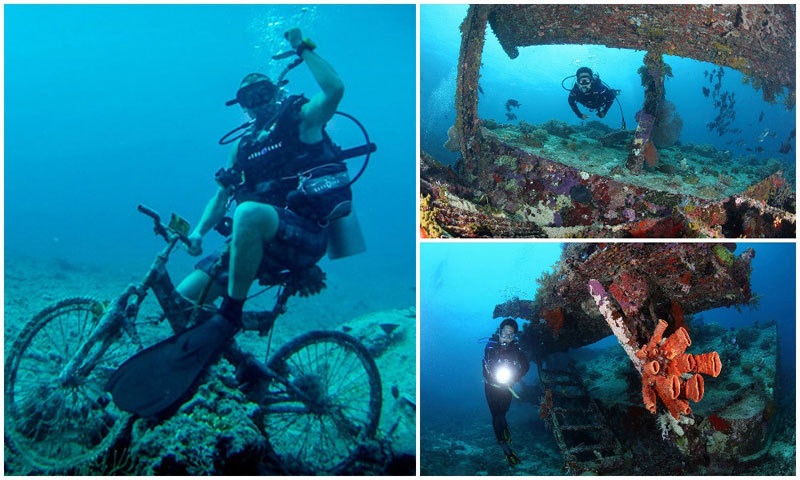 There are other interesting dives around Gili Islands such as the Japanese WWII Wreck. 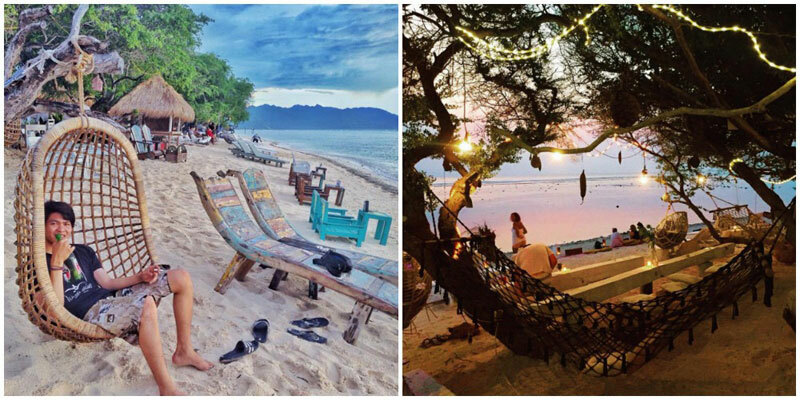 With these 14 super fun things to do around Gili Islands, you definitely need to start planning a trip down! 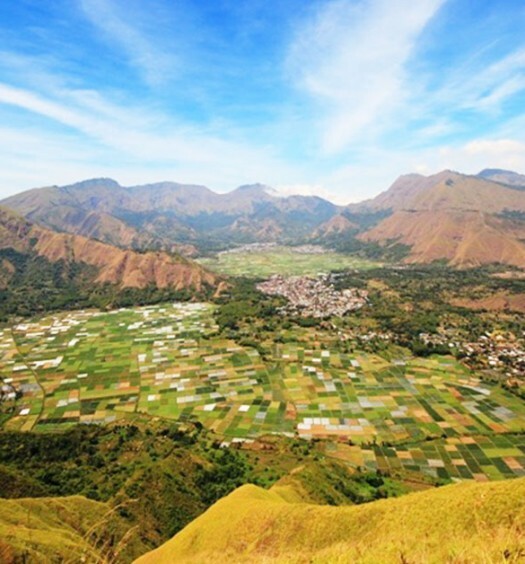 It’s perfect for a short getaway, or even a gap year if you’d like to experience the pure island life for a bit. Let us know if we’ve missed anything out!